Once you've hired people to work for you, one of your responsibilities as an employer is to pay them properly. In Canada, this means complying with the requirements of the Canada Revenue Agency and making and remitting the correct payroll deductions. This article will guide you through the process of how to do payroll in Canada. Opening and operating a payroll account with the Canada Revenue Agency (CRA). Collecting required information from employees, such as their social insurance number (SIN) and a completed federal and provincial TD1 form. Making the appropriate Canadian payroll deductions from employees' pay each pay period. Remitting these payroll deductions, along with the employer's share of Canada Pension Plan (CPP) contributions and Employment Insurance (EI) premiums, to the Canada Revenue Agency as required. Reporting each employee's income and deductions on the appropriate T4 or T4A slip and filing an information return on or before the last day of February of the following calendar year. Let's look at the details, then. Step 1) Open and operate a payroll account with the Canada Revenue Agency ( CRA). You will need a CRA payroll deductions program account to remit your payroll deductions to the Canada Revenue Agency. If you already have a Business Number and have previously registered for other CRA program accounts (such as GST/HST), you will just be adding a Payroll deductions account to your existing program accounts. Step 2) Collect required information from employees, such as their social insurance number (SIN) and a completed federal and provincial TD1 form. You should also have already had the new employee fill out the appropriate federal and provincial Form TD1, Personal Tax Credits Return, which determines how much tax is to be deducted from a person's employment income. Step 3) Make the appropriate payroll deductions from employees' pay each pay period. Add your employee’s taxable benefits first. Do you provide an employee with board and lodging, the use of a company car, parking or a low-interest loan? Anything you provide an employee other than money may be considered to be a taxable benefit. And if an employee's pay involves taxable benefits, these need to be added to an employee's income each pay period before you make any payroll deductions, because the total income determines the total amount that is subject to source deductions, and the taxable benefit may be subject to CPP contributions, EI premiums and income tax deductions just like any other income. The CRA's Guide T4130, Employers' Guide - Taxable Benefits and Allowances gives details on how to calculate the value of these benefits and which taxable benefits are subject to GST/HST. You may have other employee deductions specific to your organization such as extended health benefits, life insurance, retirement plans, etc. To find out how much income tax you need to deduct from employees' pay, you use the provincial or territorial tables for the province or territory where the employee reports to work. The easiest way to do this is to use the CRA's Payroll Deductions Online Calculator, which will calculate all the other payroll deductions you need to make, too. However, if you can't use the Payroll Deductions Online Calculator, all the payroll deductions tables that you need are available through the CRA's Payroll page. Generally, you have to deduct CPP contributions if an employee is older than 18 and younger than 70 years of age, in pensionable employment, not disabled and not receiving a CPP or QPP (Quebec Pension Plan) pension. You will find a link to the CPP contributions rates, maximums and exemptions chart and other useful information about CPP contributions on this Canada Pension Plan page from the CRA. "Employers with employees in Quebec have to deduct contributions for the QPP instead of the CPP, if the employment is pensionable under the QPP. Employers have to take deductions for both the QPIP and EI, if the employment is insurable" T4001 Employers' Guide - Payroll Deductions and Remittances (Canada Revenue Agency). Visit the Revenu Québec website for more information. Normally, you deduct EI premiums from employees' pay on each dollar of insurable earnings up to the yearly maximum. The employer's EI contribution is 1.4 times the EI premium withheld for each employee (note that you may qualify for a reduced rate if you offer your employees a short-term disability plan). Note also that unlike CPP, there is no age limit for deducting EI premiums. When your employee EI deductions reach the yearly maximum amount, you stop deducting them. Refer to the CRA's chart of EI premium rates and maximums to determine the EI deductions for a given year. Note that there is a separate chart for Quebec, which has a different rate structure. As with other payroll deductions, you can use the Canada Revenue Agency's Payroll Deductions Online Calculator to calculate the amount of Employment Insurance you need to deduct for any pay period. You may also use the tables provided by the Canada Revenue Agency, Guide T4302, Payroll Deductions Tables and Guide T4008, Payroll Deductions Supplementary Tables or calculate them manually using this method. 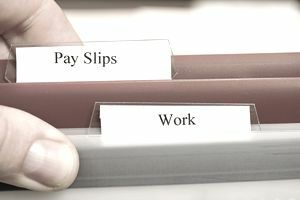 Some benefits and payments you give to employees are not subject to Employment Insurance; see this Canada Revenue Agency list. As a Canadian employer, there may also be special situations that affect your EI deductions; see the CRA's Employment Insurance page for information on topics such as employment outside Canada, special payments, and hiring a family member. Step 4) Remit your employee payroll deductions, along with the employer's contributions, to the Canada Revenue Agency. You can either remit electronically or use paper remittance vouchers and receive statements of account by mail. If you remit electronically you can view your statements and transactions via your online My Business Account. New employers are classed as regular remitters by the CRA, which means you have to remit your deductions so the Canada Revenue Agency receives them on or before the 15th day of the month following the month you made the deductions. Later, once you have established a remittance history, you may find yourself reclassified as a quarterly or accelerated remitter and having to complete less paperwork. For more information on remittance, including how to correct payroll remitting errors, see the CRA's Remitting payroll deductions page. Step 5) Complete all T4 slips and information returns. Lastly, as an employer, each year you need to complete a T4 Slip for each employee and complete the T4 Summary form. You have to file the T4 information return and give the T4 slips to the employees on or before the last day of February following the calendar year to which the information return applies. T4 Slips may be filled out electronically using the Canada Revenue Agency's T4 Web Forms application (which lets you file one to six original or amended T4 slips) or filled out online using a PDF fillable T4 form. For more information on T4 slips, see the CRA's T4 - Information for Employers page. The T4 Summary form may also be filled out and filed electronically or you may file it in paper form, in which case you will need to send the original summary and related T4 slips to the Ottawa Technology Centre. You will find a link to this address and to line by line instructions for filling out the T4 Summary form by following the link at the beginning of this paragraph. All of your business records, including your records relating to payroll, must be kept at your place of business or at your residence in Canada unless the Canada Revenue Agency has given you permission to keep them elsewhere. Note too that business records and supporting documents "that are required to determine your tax obligations and entitlements" must be kept for a period of six years. The penalties for non-compliance with Canadian payroll requirements range from fines of $1,000 to $25,000, imprisonment for up to 12 months or a combination of both. The CRA Penalties page provides the details for particular offenses and omissions from failing to make the appropriate payroll deductions to filing information forms late.